In not so nerdy speak – an API is what lets one system talk to another system. APIs usually give access to data and existing features available in the app you are connecting to. For example – with GoToWebinar’s API, I can write a program that will take contact data from Infusionsoft and register that person for a given webinar. The program would send the person’s contact information and the webinar info to GoToWebinar and tell GoToWebinar to register the person. When GoToWebinar is done registering the person, they send back that person’s registration information. That’s a real life programming example – let’s take it out of the nerdery and see what an API would look like in real life. Let’s say that Jordão (on the left) only speaks Portuguese and Monique (on the right) only speaks French. 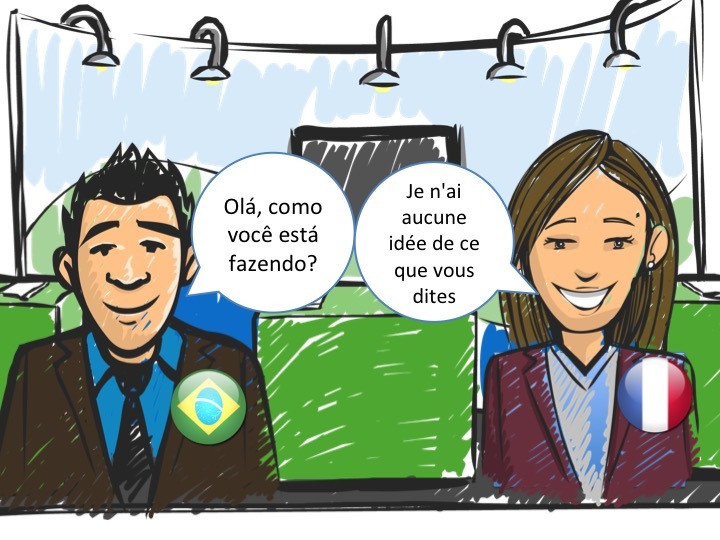 Jordão really wants to talk to Monique, but she can’t understand him because she doesn’t speak Portuguese – and he can’t understand her because he doesn’t speak French. They need a translator in order to communicate. The translator can understand what Jordão says in Portuguese and can tell Monique the same thing in French. 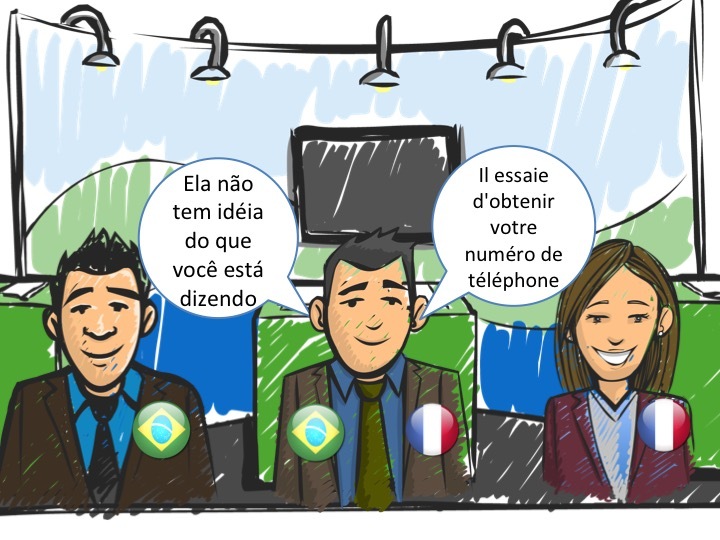 In this case the translator would be like the program from the GoToWebinar example. That program speaks both Infusionsoft and GoToWebinar and can facilitate the translation between the two programs. So – there you have it. 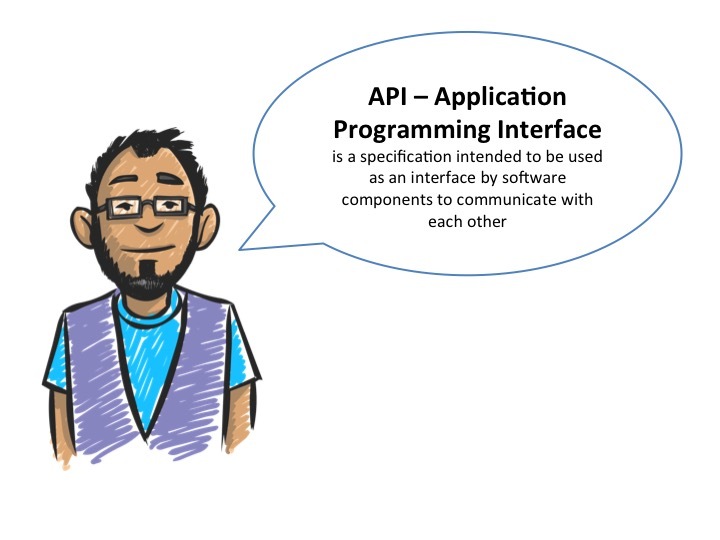 A very basic explanation of what an API is. I’ll be doing a couple more posts about how to use APIs (mostly Infusionsoft’s API) and I’ll even give some real life examples (and code) that anyone can use to extend the power of Infusionsoft. « What is AJAX and how can I use it? Way to go with leading and sharing, Jordan. Game on! Thanks Gareth. I’ve got more on tap. Let me know if there’s stuff you want me to write about. Keep it coming. I appreciate this, even if it was a recap of a conversation we had literally last week. Thanks, Jordan, is there a source of common Infusionsoft APIs available to save every user from having to reinvent the wheel each time? The best place to look is in the developer center (developers.infusionsoft.com) there are also a few things I’ve found on GitHub. Thanks for the post. I really like your way of describing . We normally use third party apps like plusthis, zapier for gotowebinar and inusionsoft integration.